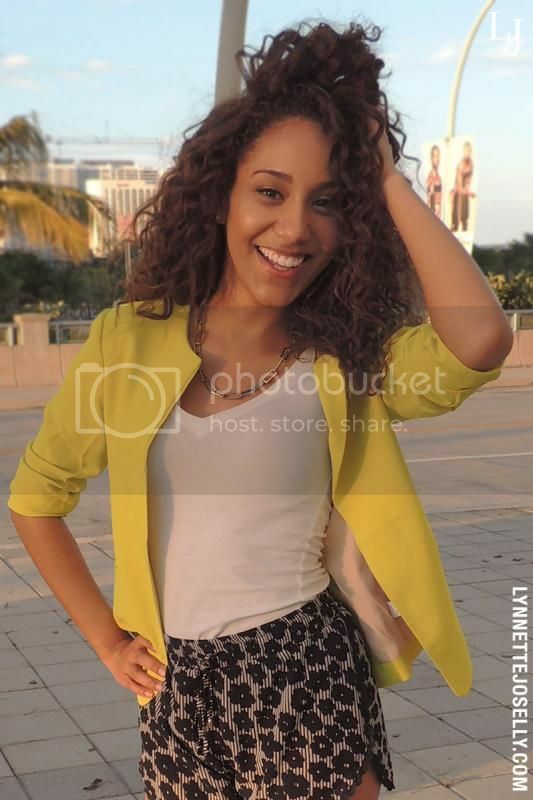 What I Wore: White v-neck t-shirt, neon green blazer (GoJane), lace trim floral print shorts (MadRag) and beige laced up booties (MMC). Summary: I mean if you didn't already know that Dulce Candy is one of my biggest inspirations well then now you do! I love visiting her site for outfit ideas and sometimes can't help myself but doing a replica. 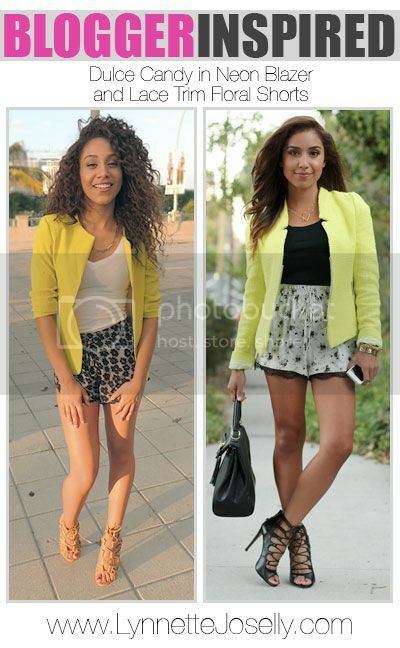 Here she paired a neon blazer outfit with floral print shorts. The pajama shorts fashion trend was inspired by lingerie and features a lace trim. Who ever thought PJs can look oh so chic! ?